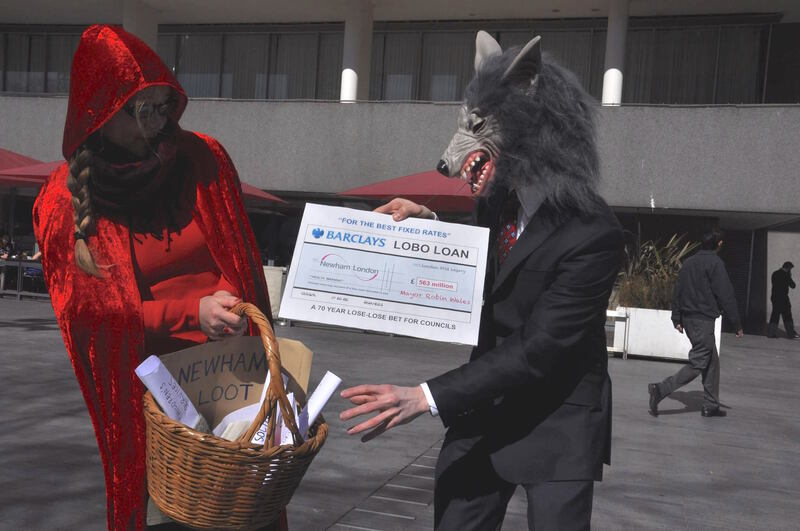 We are in a crucial moment for the campaign against #LOBOloans . For a short period of time during the summer, local residents have the right to object to their Councils’ accounts. This is an incredible opportunity for us to challenge the rent seeking corporations within the financial sector who are extracting wealth from our public institutions. Only local residents of the Council can exercise these rights, so we are calling on citizens across the UK to take action in their local area on LOBO loans. Edinburgh, Glasgow, Greenwich, Haringey, Kent, Newham, Tower Hamlets. We would now like to support objections in the Councils listed below. If you are a local resident of one – do get in touch! Barking & Dagenham, Brighton & Hove, Bristol, Essex, Kirklees, Redcar & Cleveland, Sandwell, Walsall, West Dunbartonshire. Birmingham, Hertfordshire, Leeds, Northamptonshire, Nottinghamshire, Trafford, Salford. Barnsley, Brent, Cambridgeshire, Camden, Cornwall, Croydon, Harrow, Hounslow, Kingston upon Thames, Leicester City, Leicestershire, Liverpool, Manchester, Medway Towns, Newcastle upon Tyne, Northumberland, Plymouth, Wirral. If your Council is not in the list above, search for it on our new website. If your find that your Council has bank debt, get in touch and we can support you in inspecting the accounts, asking for a public interest report or a High Court declaration. Local authorities across the UK have been encouraged to borrow toxic loans from banks called LOBO loans which are excessively expensive and risky. LOBO loans have been created by banks to circumvent regulation, and are structured in way that Local Authorities are locked into them for up to 70 years. Treasury Management Advisors and brokers have been involved in selling these products to Local Authorities and have recommended LOBO loans despite serious conflicts of interest. Some Councils, like Newham, are now paying the equivalent of 80% of council tax to service interest on bank debt. In a context of extreme cuts to Council budgets and growing risks of Council bankruptcy, cancelling LOBO loan contracts is becoming a matter of urgency. Talking about the #NoLOBOs campaign to as many people as possible! If you are ready to take action get in touch now with Debt Resistance UK.